If you really think about it, a bathroom is one room in the house where you spend most of your time. Whether it's relaxing in a bubble bath after work, enjoying a pampering session of face masks and beauty regimes or simply brushing your teeth, this is undoubtedly a very important part of the home. This is why it's so crucial that your bathroom style is up to scratch. You want a space that is going to be luxurious, tranquil and serene, with all of the right features and elements at your disposal. Bob Hope once said, I grew up with six brothers. That's how I learned to dance—waiting for the bathroom. 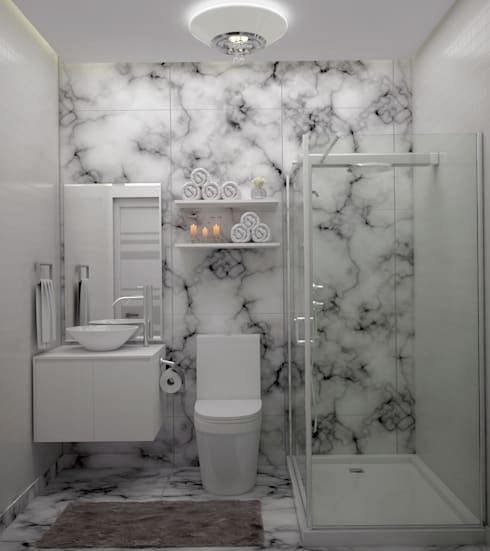 A bathroom is an absolute necessity in a home—in fact you may need more than one! This is why today we are going to explore 17 pictures of bathrooms with ideas that you simply have to copy. You wont believe how many incredible designs exist from top professionals from around the world. 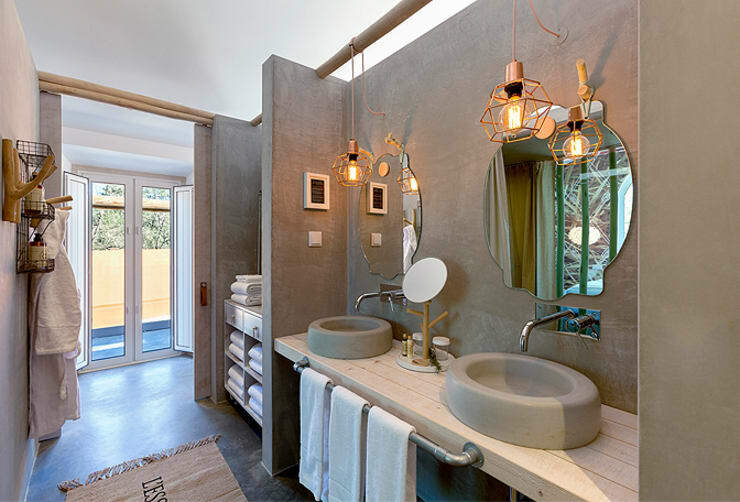 In this bathroom, we come across a raw cement wall, which brings a very savvy industrial look and feel to the room. Paired with the right lighting, this makes for a very stylish space. Artwork, sculptures and paintings aren't only for the living areas. 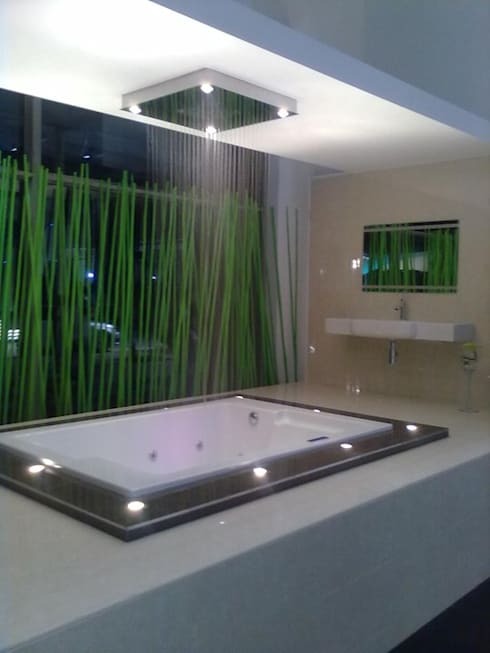 Use them in the bathroom to introduce a refreshing and entrancing element to the space. 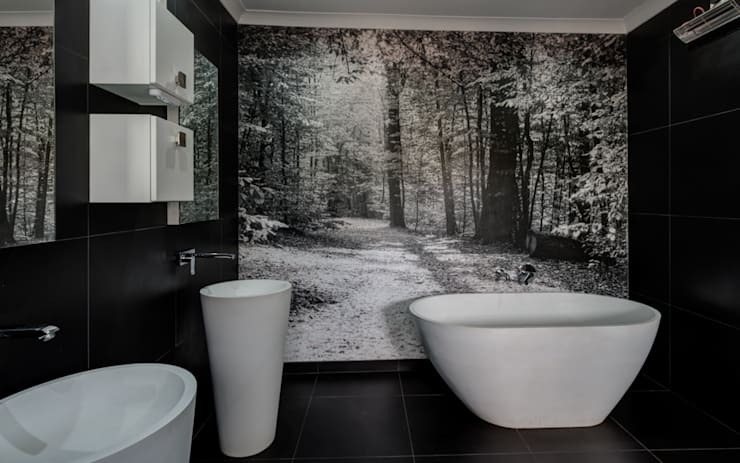 In this bathroom, we can see how the artwork adds a very peaceful and serene quality. Opt for neutral tones in your bathroom to transform it into a calming oasis. Combine stone walls with smooth, tiled floors to introduce different textures and tones. Your bathroom can still be absolutely stunning, no matter how small it is. In this design, we can see how some stylish wallpaper and the utilisation of vertical space makes for a very trendy and savvy bathroom space. 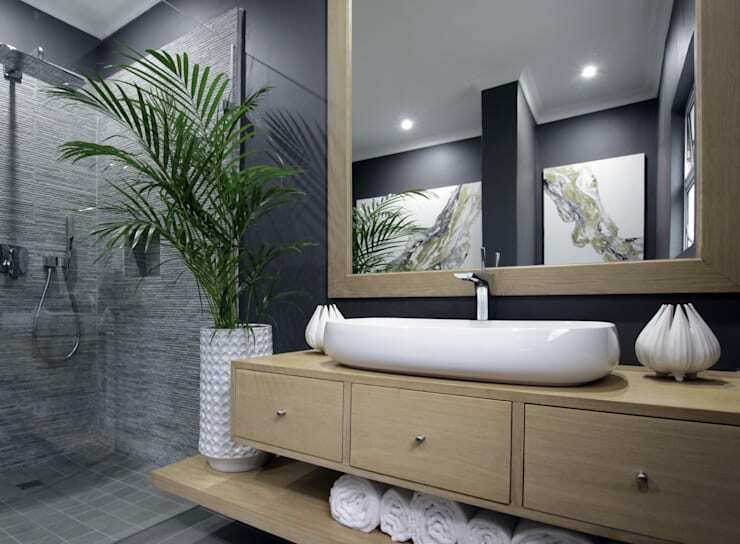 Just by swapping out your bathroom features for modern versions, you can create a whole new look and feel in this space. Change your shower head and replace your old tub with a modern, egg-shaped one. You'll be delighted at the results! A pot plant or a fresh vase of flowers can inject a very refreshing and tasteful style into the space. Simple and stylish! We've already had a little glimpse into how effective stone walls are, but in this image, we can see how beautifully they work in the shower. Grey stone is very elegant and introduces raw material to the space so that you almost feel like you're showering outside in the wilderness! A pot plant or two adds to this gorgeous effect. Have a look at these other: Ways you can make your home roar with raw materials. 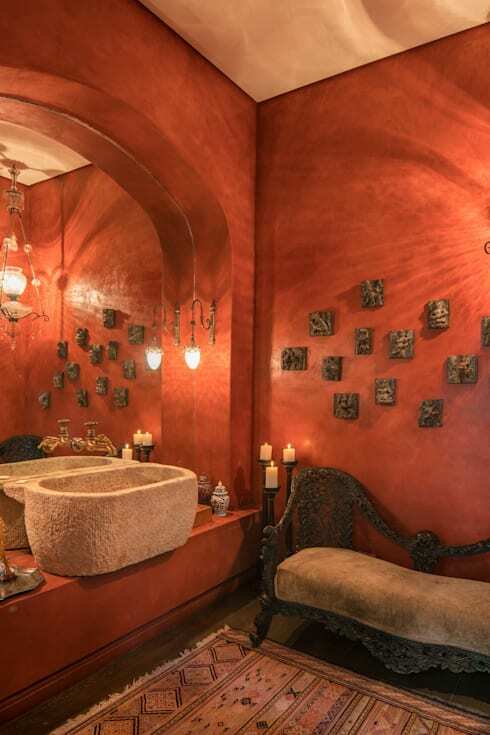 The terracotta walls in this bathroom combine beautifully with the stone basin as well as the candles and lanterns to create a very cosy, rustic and earthy space. This is truly an area where you would feel relaxed and enveloped in serenity. Wooden floors are not always a popular choice for bathrooms but if they are sealed and varnished properly so that they don't get damaged by the water, they can bring a very warm and inviting look and feel to a bathroom. 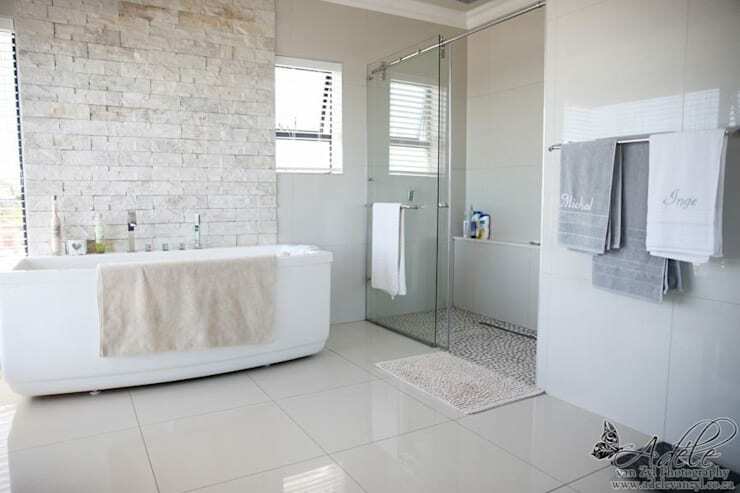 Tip: Add a rug next to the bath or shower for some extra comfort underneath bare feet. 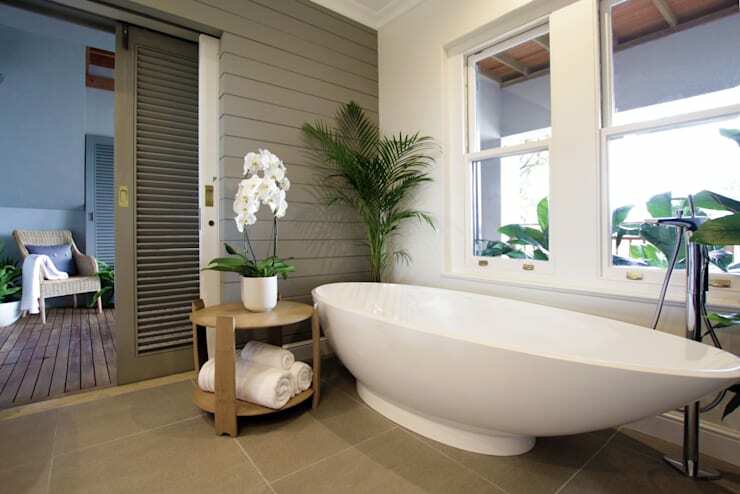 If your home is private enough, create a seamless connection between the bathroom and the garden outside by installing a large glass window across the one wall. You'll truly feel refreshed as you start your day! Wood is always earthy, warm and inviting so why not add some wooden finishes to your bathroom for a simple yet sophisticated design? 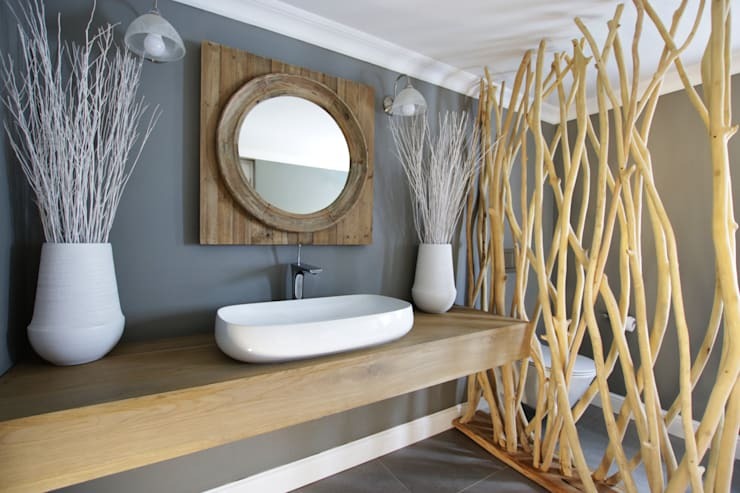 Don't you love how the wooden mirror and the wooden sculpture add a delightful rustic touch to this bathroom? Your bathroom should always look neat and tidy so be sure to invest in plenty of cupboards, drawers and cabinets where all personal items such as shampoos and soaps can be stored neatly out of sight. You can also invest in a medicine cabinet, doubling up your mirror as storage space. 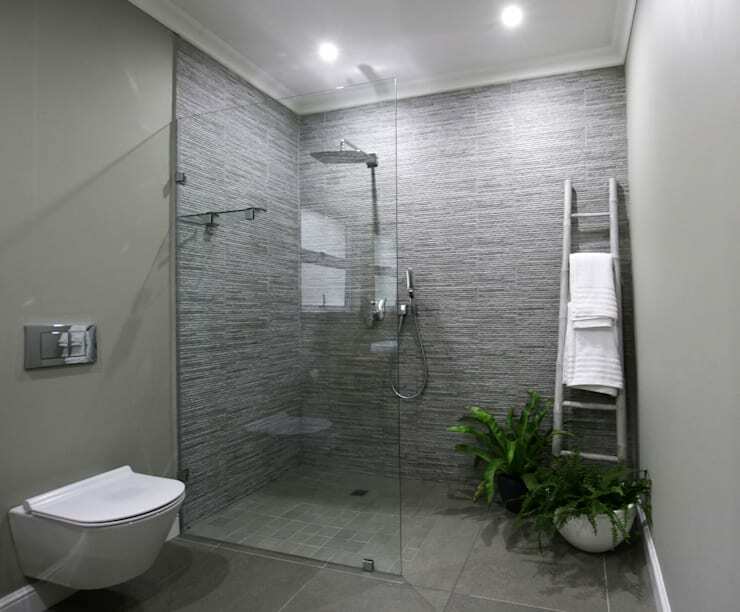 Your bathroom should feel warm and light at all times, without compromising your privacy. 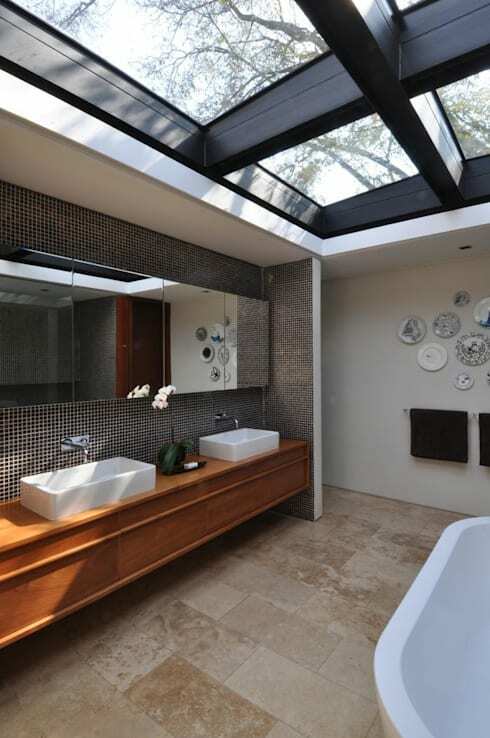 Skylights in a bathroom are a wonderful way to achieve this. Especially if your bathroom is small, bold shapes, bright colours and quirky designs can go a very long way, distracting the eye as well as making sure that your bathroom is the trendiest on the block. 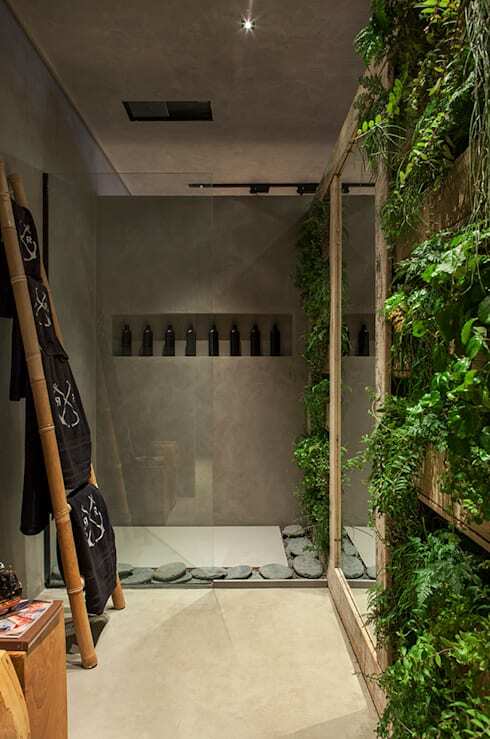 Plant a vertical garden in your bathroom for a very unique and refreshing design, without taking up an inch of floor space. Have a look at: How you can create and plant a vertical garden. 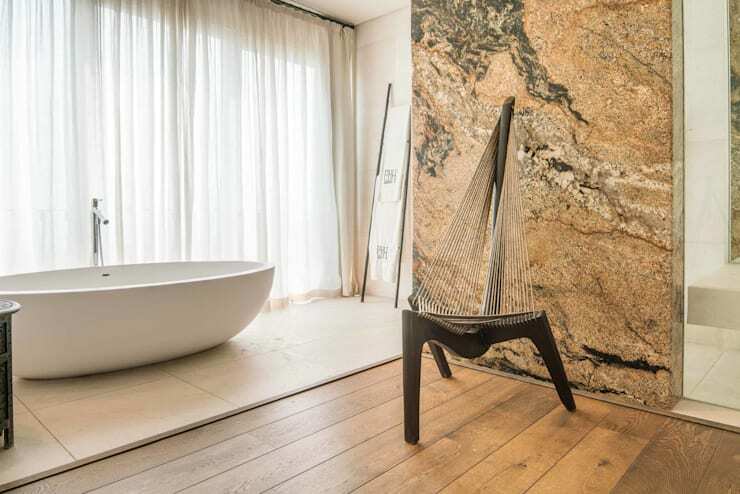 Granite is a very luxurious material, which has the ability to bring glamour and serenity to a bathroom all at the same time, no matter what size it is. In this design, we can see how beautifully it works for the walls and the floors, adding texture and tone to the space. 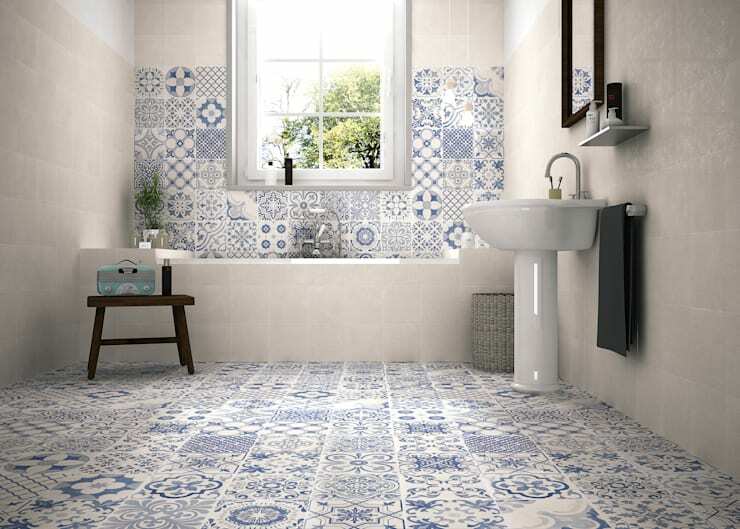 Use matching tiles for the floors and the walls to create a very stylish spot. Remember that tiles are economical and they come in so many different patterns and styles, that you can truly choose one that suits your needs and tastes. 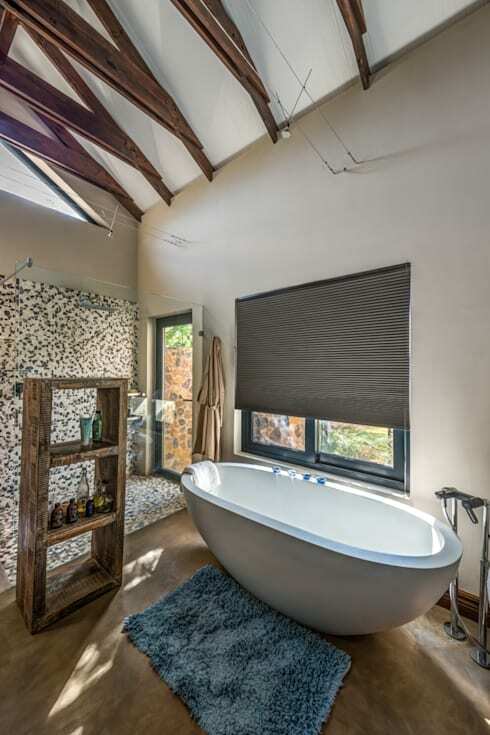 If you've enjoyed these gorgeous bathrooms, you'll love these: Brilliant, beautiful bathroom trends. Which is your favourite bathroom?